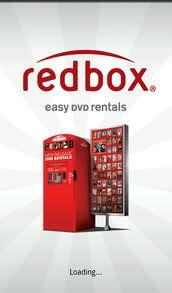 Having trouble deciding which movie to rent at the Redbox? This list just might help you make a good decision on what to rent. 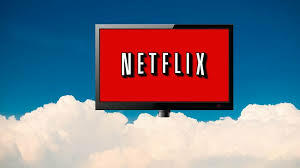 Hopefully it will save you from wasting your money renting a bad movie. Along with my list, I have given my rating and a “Quickie” review. Quickie review = A film review in 13 words or less. If a title does not have a quickie review then you may click on it for my full review. Quickie: Johnny Depp excellent! Young Leonardo DiCaprio maybe even better. Fun, touching, drama. Great! Quickie: A grand final chapter in the Christopher Nolan directed Batman Trilogy. Epic film. Quickie: Joseph Gordon-Levitt + = Bruce Willis in a time travel thriller puzzle. Quickie: Who hasn’t seen this? Ship sink. Dreadful historical event. Well made recreation. Iceberg. Quickie: Brad Pitt spectacular performance! Jonah Hill proves acting capable. Interesting, solid baseball story. Quickie: As good as 1. Josh Brolin as Tommy Lee Jones. Will Smith reloaded. Quickie: Colin Farell in updated Schwarzenegger role. More fun than original. Kate Beckinsale badass! Quickie: Shia LaBeouf gets big. Tom Hardy tough. Jessica Chastain shows, proves herself. Bootleggers. Those are in my opinion the best movies that are currently at the Redbox. Quickie: Hilarious Channing Tatum, Jonah Hill buddy cop comedy. One of funniest movies 2012. Quickie: Liam Neeson fighting wolves bare-handed after a plane crash in Alaska. Period. Quickie: Johnny Depp as a vampire in a comedy. Rarely does he disappoint. Quickie: Sacha Baron Cohen’s funniest movie ever. All levels of humor and raunch. Absurdity. Quickie: Tom Cruise fighting aliens to try to save the world. Steven Spielberg directs. Quickie: Matt Damon gets amnesia. He gets chased not knowing why. He fights back. Quickie: Sam Rockwell steals the show. Witty, dark comedy. Clever characters. Great dialogue! Quickie: Amy Adams helps aging father Clint Eastwood try to keep baseball scout job. Quickie: Jeremy Renner replaces Matt Damon in the series and is more qualified. Quickie: Ryan Reynolds tries to take fugitive Denzel Washington down. Good action. Good twists. Quickie: PG Suggested. Delightful animated story about a kid who sees the dead. Amusing. Quickie: Ben Stiller, Vince Vaughn, Jonah Hill, hysterical buddy comedy about aliens at Costco. Quickie: Amazing animation retelling of a classic story and voiced by Jim Carrey. Quickie: Tyler Perry plays a game of cat and mouse with Matthew Fox. Quickie: Family friendly animated Christmas movie. Fun to watch around the holidays. Unique. Quickie: Nicolas Cage wife assaulted. Guy Pierce help. Rift after favor not returned. Solid. Quickie: Stephen Dorff kidnapped for information about the president. Won’t give up. Tense. Exciting. Quickie: Bradley Cooper plagiarizes a story and it comes back to haunt him. Quickie: Will Farrell runs against Zach Galifianakis. Dirty politics and humor ensue. Quickie: Sylvester Stallone brings action hero friends back together for round 2 of battle. Quickie: Jennifer Aniston, Paul Rudd turn into tree hugging hippies. Funny moments. Tacky moments. Quickie: John Cusack as Edgar Allan Poe investigating crimes that he wrote. Good enough. Quickie: Michael Douglas and Val Kilmer try to slay lions while lions slay others. Quickie: Jesse Eisenberg tries to drug free mother and get into music school. Laughs. Quickie: Dysfunctional drama. Lost siblings try to find each other after father’s death. Quickie: Robert De Niro has mind powers. Cillian Murphy Disagrees. Their minds tango. Quickie: One sequel too many. Funny parts. Same old story. Slight variation. Decent enough. Quickie: Eddie Murphy shares life with tree. He speaks, leaves fall. Comical and stupid. Quickie: Robert De Niro, Paul Dano bad father son relationship. They both write. Quickie: Tobey McGuire and Kirsten Dunst are unpleasant. Spiderman is okay. Other cast helps. Quickie: Cool Special effects technology. Robert Downey Jr. carries the movie on his back. Quickie: Too many action heroes take away from plot. Fun to watch though. Quickie: Stephen Dorff tries to repair his life after being a dirty cop. Mediocre. Quickie: Great impressions of original stooges. Especially Curly. Humorous at times. Quickie: Mel Gibson goes to Mexican prison. Trying getting out is the fun part. Quickie: Benicio Del Toro and John Travolta make movie better. Quickie: Tim Roth is fun as a hit man. Film dwindles halfway through. Quickie: Bad movie that gets better towards the end. Quickie: Sandra Bullock is funny at times. Quickie: Robert Downey Jr. is a riot as a black guy. Quickie: The title says it all and that’s about it. Quickie: The only thing worse are the 2 movies below this one.